The area hit by forest fires in Russia's Far East has quadrupled overnight. The area hit by forest fires in Russia's Far East has quadrupled overnight, expanding to 211 hectares by Thursday morning, a news report said. 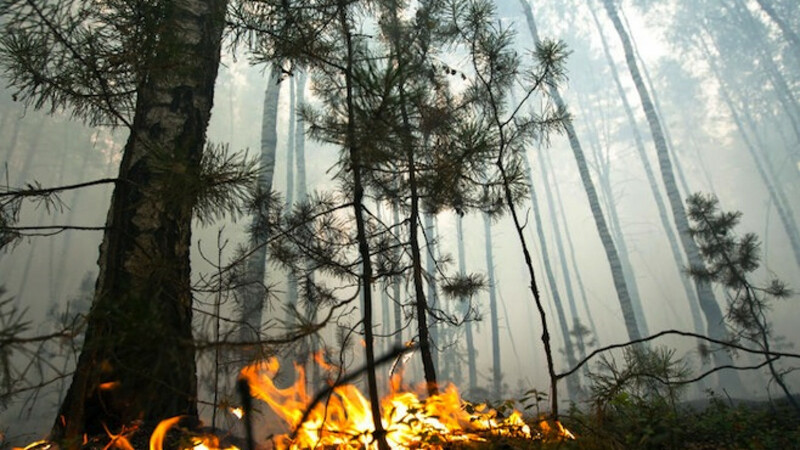 Over the past 24 hours, the area engulfed by flames reached 140 hectares in the Khabarovsk region alone and another 70 hectares in Yakutia, from a total of 57 hectares a day earlier, the regional forestry service said, Interfax reported. Since the start of the fire hazard season this year, more than 1,760 fires have affected an area of more than 461,000 hectares in the Far East, compared to 752 fires over an area of 239,000 hectares during the same period last year, Interfax reported.